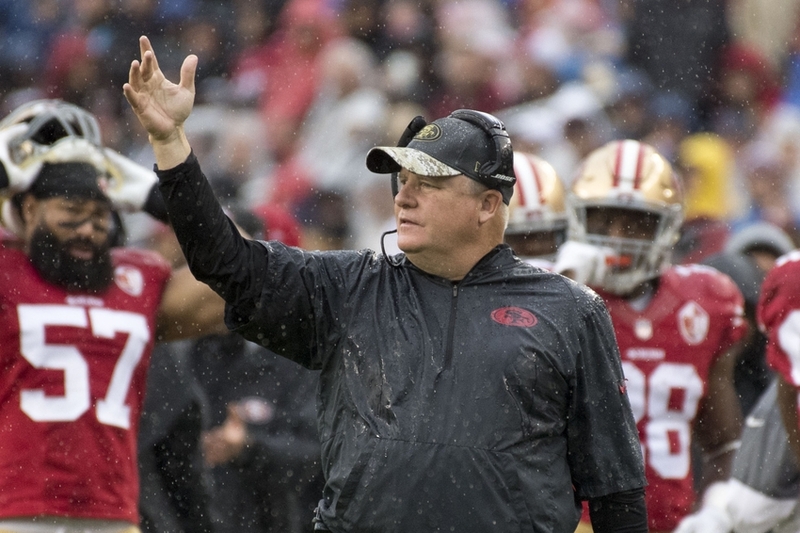 The San Francisco 49ers won’t climb in NFL Power Rankings entering Week 12, as their 30-17 loss to the New England Patriots tied a franchise record for consecutive losses. A dreary, rainy afternoon set the backdrop for the San Francisco 49ers 30-17 loss to the visiting New England Patriots in Week 11. Instead of a flashy Niners effort, which was supposed to honor former owner and Hall of Fame inductee Eddie DeBartolo, San Francisco fell apart in the second half after a promising start against Patriots quarterback Tom Brady. It’s been somewhat of a reoccurring theme — the 49ers stay in contention for the first half only to lose track in the second. 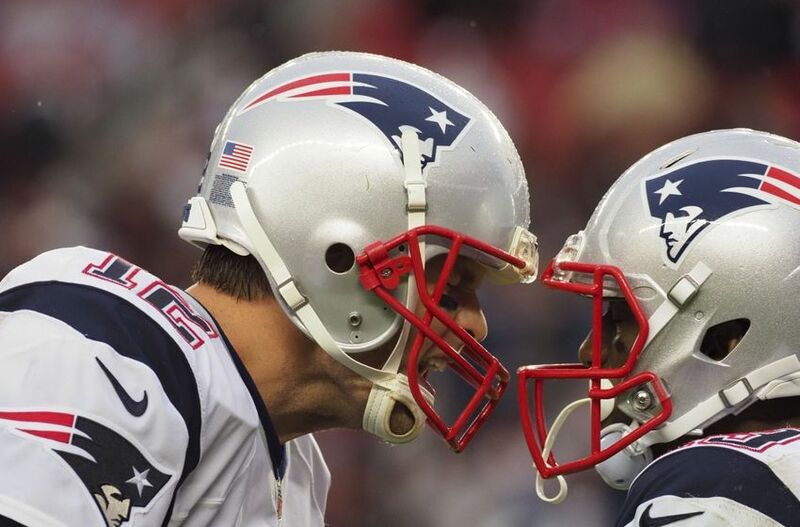 New England’s 17 points in the fourth quarter sealed the Patriots victory. The 49ers’ latest loss puts the team’s losing streak at nine games, which ties a franchise record. At 1-9, there aren’t too many positives about which Niners fans can speak. Yes, running back Carlos Hyde looked much better than a week ago. Rookie defensive end DeForest Buckner is showing improvement. 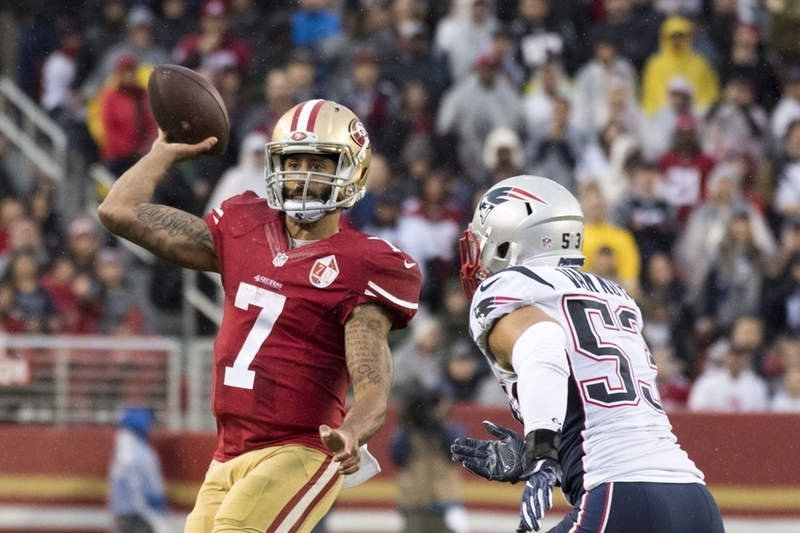 And quarterback Colin Kaepernick had a decent effort, with exception of the third quarter. No, the Niners won’t climb in NFL power rankings. But where do they sit in comparison to the rest of the league? Let’s take a look at all 32 teams. Nope, the Cleveland Browns won’t climb out of the cellar after dropping Week 11 by a score of 24-9 to the Pittsburgh Steelers. The game was already decided before Browns quarterback Josh McCown tossed a fourth-quarter touchdown for Cleveland’s lone end-zone score. Who is it going to be under center anyway? McCown or Cody Kessler? Not like it makes much of a difference. Wide receiver Terrelle Pryor is about the only player worth watching in what has been yet another abysmal season for the winless Browns. 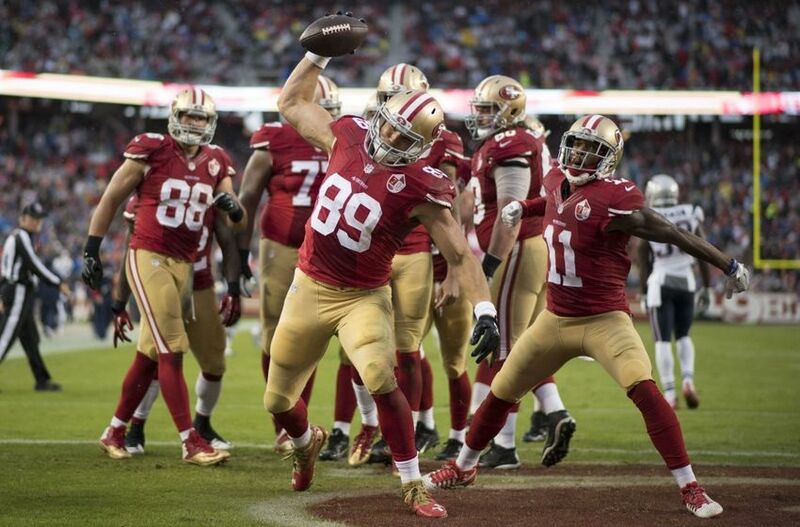 For three quarters, the 49ers looked as if they had a chance to possibly upset the mighty Patriots. San Francisco trailed 13-10 entering the fourth quarter. But quarterback Tom Brady happened. And he happened again. 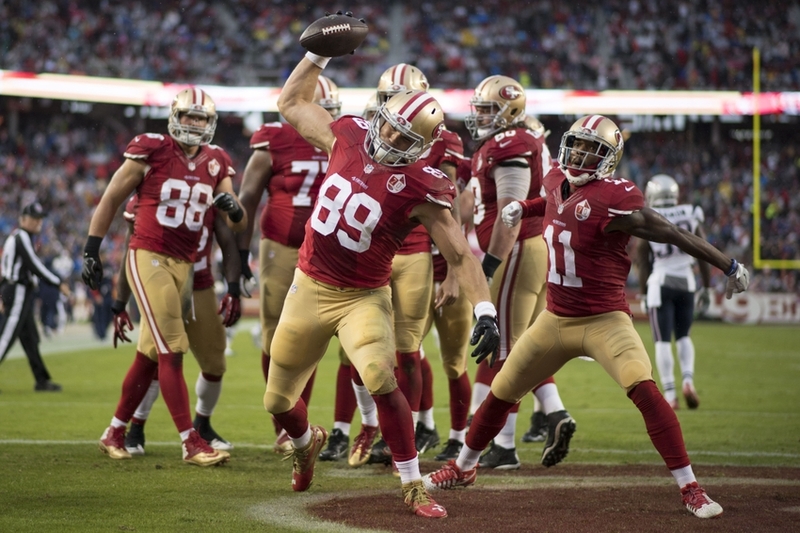 Seventeen unanswered points ensured the Niners’ nine-game losing streak would continue. Granted, Brady will do Brady-like things. The 49ers sure wish they had a good pass rush, as three of his four touchdown passes were nearly negated by defensive pressure within the pocket. But the Niners don’t get points for being close. Quarterback Colin Kaepernick wasn’t great. But he wasn’t bad either. He finished with 206 passing yards and two touchdowns, although his second came in fourth-quarter garbage time. Running back Carlos Hyde looked more like a top-tier back and amassed 86 yards on 19 carries — an average of 4.5 yards per attempt. 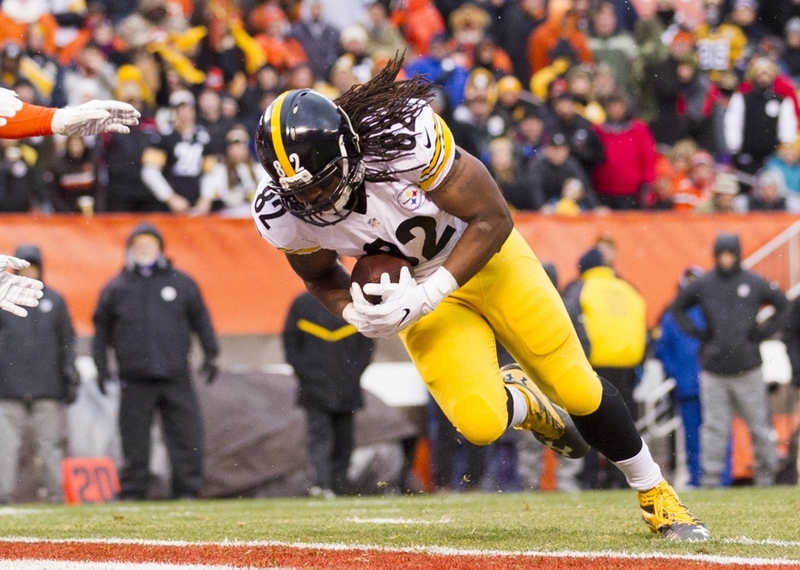 But Hyde was overshadowed by the efforts of Pats tailback LeGarrette Blount, who rushed for 124 yards. 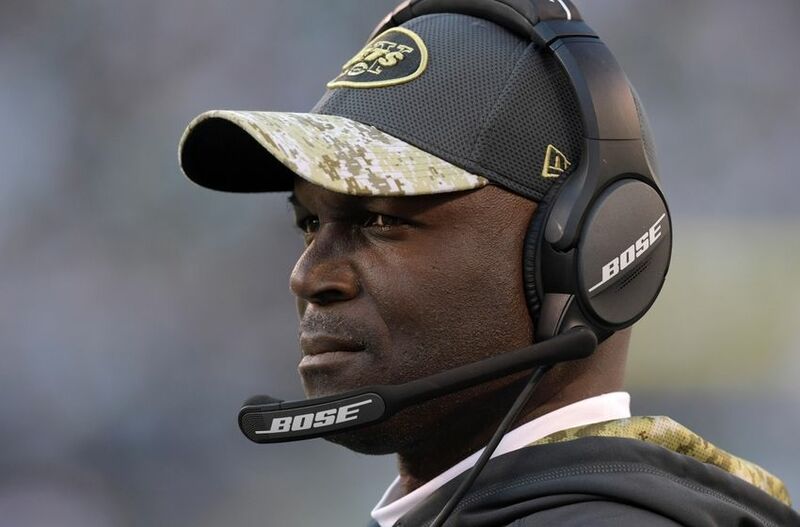 This marked the eighth time in 10 games this season the Niners have given up a 100-plus-yard rusher. Hey, at least tight end Vance McDonald is catching the ball and contributing. 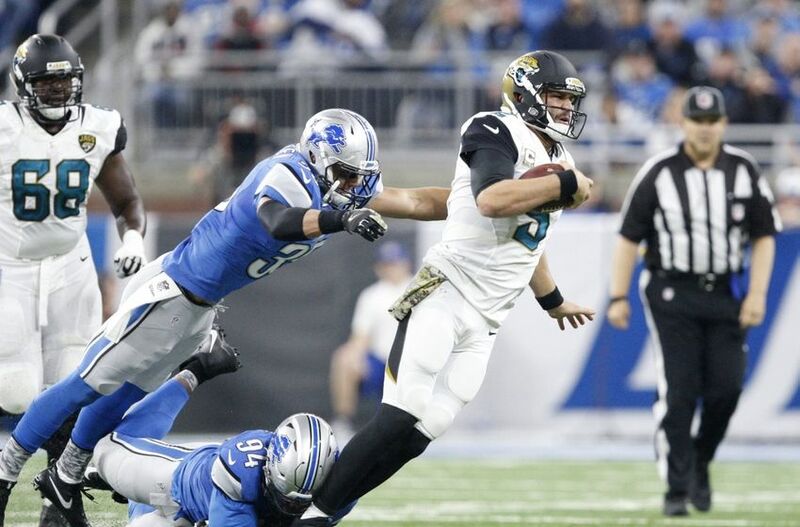 The Jacksonville Jaguars climb up one spot because they nearly escaped Detroit with a key road victory over the Lions. But then the fourth quarter happened. Despite a 19-16 lead heading into the final frame, Jacksonville coughed up 10 key points to give the Lions the victory. Jacksonville’s running game was nonexistent, and running back Chris Ivory led the Jaguars with a mere 39 yards on the ground. Quarterback Blake Bortles tossed two touchdowns but against two interceptions, so it’s pretty clear he’s not the answer either. If there is a positive, Jacksonville’s defense held the Lions rushing attack in check for a net total of just 14 yards and 0.7 yards per carry. The New York Jets received a much-needed bye in Week 11, and their standings won’t change in our NFL power rankings. But the Jets won’t have it easier as they host the Patriots in Week 12. Like the 49ers, the Chicago Bears got off to a relatively hot start in Week 11 before completely falling apart in the second half. The New York Giants surged back with 13 unanswered points in the third quarter, en route to a 22-16 victory over quarterback Jay Cutler and the hapless Bears. Cutler clearly misses wide receiver Alshon Jeffery, who is still serving a four-game suspension for PEDs. But even Jeffery can’t solve all the issues going on in Chicago right now. The Bears were a measly 4-of-12 on third downs during the game, and the defense couldn’t get to Giants quarterback Eli Manning at all. Losing rookie pass-rusher Leonard Floyd won’t help matters either. 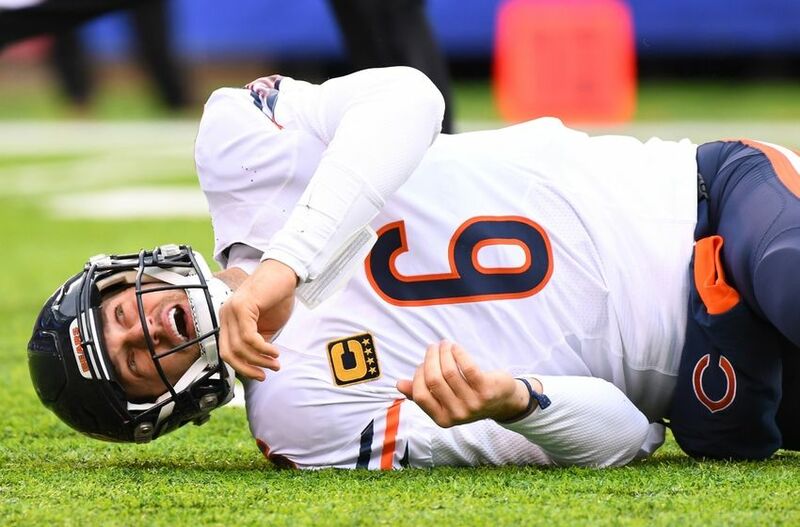 And reports are now suggesting Cutler could be done for the year with a shoulder injury. So we finally got to see the No. 1 overall pick of the 2016 NFL Draft under center. Yes, quarterback Jared Goff got his first start of his career against the Miami Dolphins. 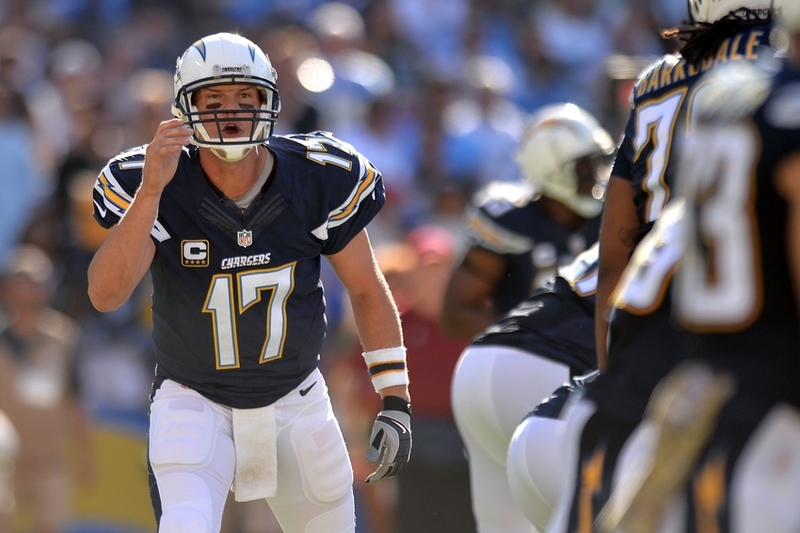 He was OK at best, going 17-of-31 for 134 yards and a net passer rating of 65.8. One might argue those numbers are bad, but it’s understandable considering the cast of players around him. 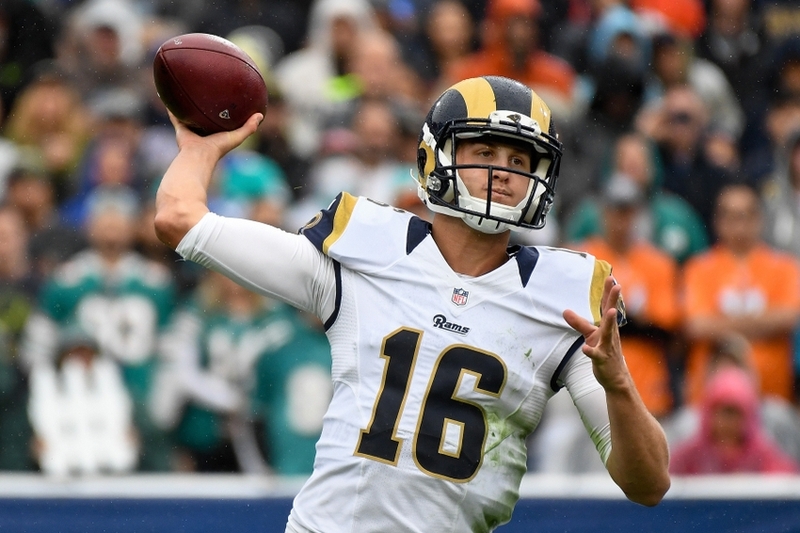 The Rams fell to the Dolphins 14-10, and it’s clear Los Angeles has few offensive strengths. The only offensive bright spot was a 24-yard touchdown run by running back Todd Gurley. But two third-down conversions on 13 attempts will still be enough to question head coach Jeff Fisher’s job security. 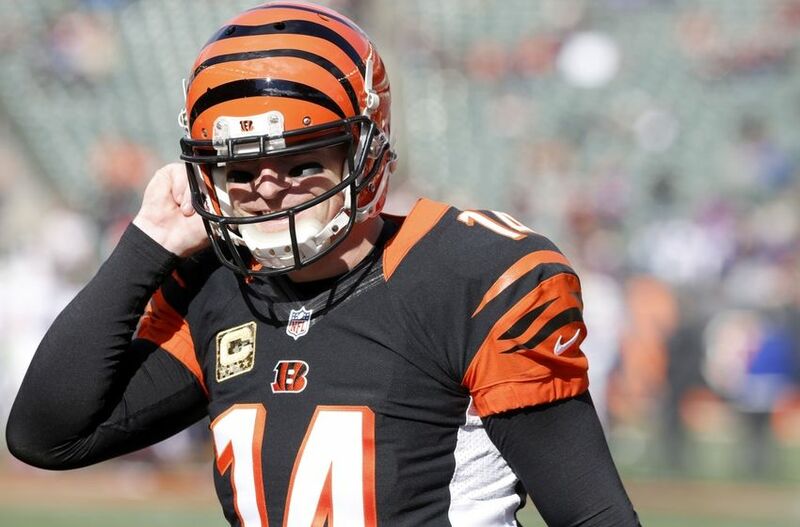 What is going on with the Cincinnati Bengals? Well, nothing right. And a 16-12 home loss to the Buffalo Bills — who limited running back LeSean McCoy in the game — certainly gives Cincinnati a drop in the rankings. 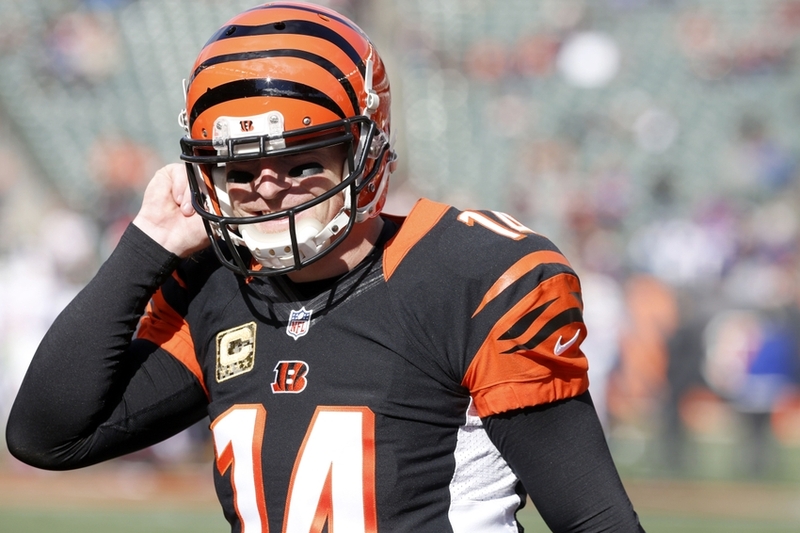 Quarterback Andy Dalton had no answers under center. He completed 24 of 43 passes for only 207 yards and a touchdown against two interceptions. His 57.0 passer rating isn’t a good look either. And then there’s linebacker Vontaze Burfict. 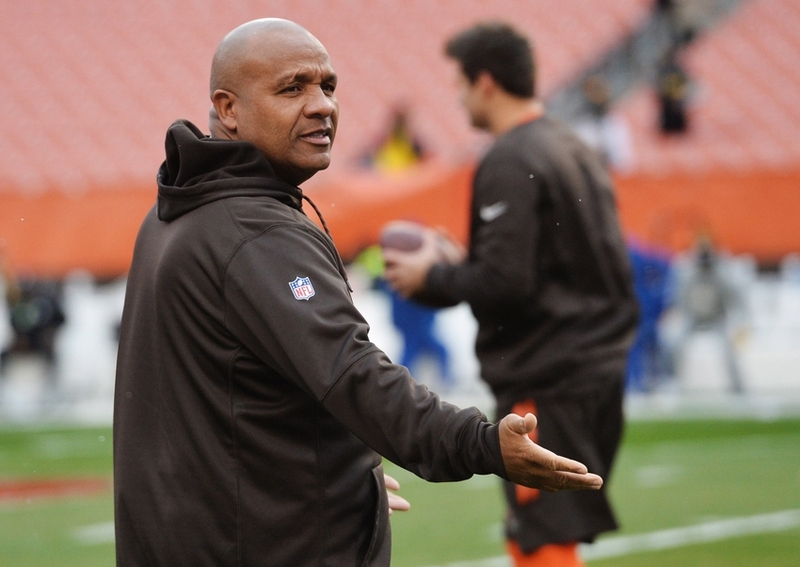 His fourth-quarter gesture towards the fans in Buffalo clearly shows all that’s wrong with the Bengals right now. 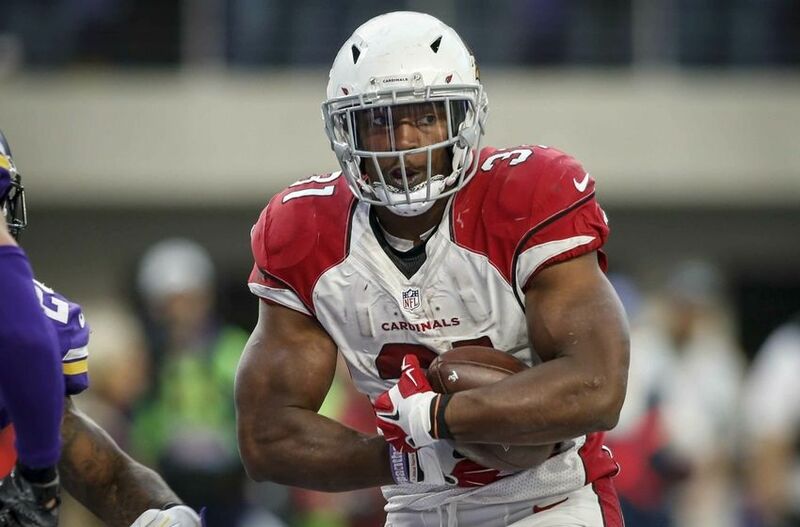 The Arizona Cardinals are quickly seeing their hold on the NFC West fall out of sight, following an ugly second-half collapse at the hands of the previously reeling Minnesota Vikings. Arizona’s 30-24 loss tells us a few things — the Cardinals will go as quarterback Carson Palmer goes, and their defense isn’t quite as good as one might think. Yes, Arizona’s defense allowed just 217 all-purpose yards during the effort. But Minnesota converting six third downs on 13 attempts is a stat line which proved disastrous to the Cardinals effort. Fortunately for Arizona, running back David Johnson got back to his headstrong ways and rushed for 103 yards and a touchdown. The Cardinals will need more of him down the stretch if they ever hope to catch the Seattle Seahawks within the division. The San Diego Chargers had Week 11 to think about their embarrassing Week 10 loss to the Miami Dolphins. San Diego doesn’t change spots in this week’s NFL power rankings and has a key matchup against the Houston Texans on the table. Oh, to be a Green Bay Packers fan. The only reason the Packers are slightly higher than the Cardinals right now is because quarterback Aaron Rodgers still managed to dazzle in spite of the ugly 42-24 defeat at the hands of the Washington Redskins on Sunday Night Football. Rodgers was 26-of-41 for 351 yards and three touchdowns. Too bad the future Hall-of-Famer’s stats don’t count on the defensive side of the ball. 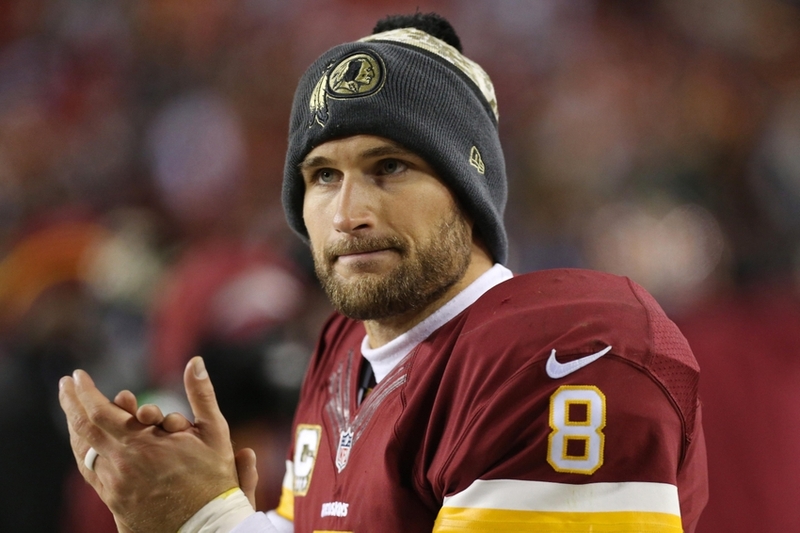 Redskins quarterback Kirk Cousins outdueled Rodgers in every stat line. And Green Bay’s run defense couldn’t stop Washington tailback Robert Kelley, who ran for 137 yards and three touchdowns of his own. So when the Packers are 4-6 this late in the season and are coming off a game in which they allowed 515 yards, it’s safe to say things aren’t so bright in Green Bay right now. A win is a win for head coach Rex Ryan’s squad. 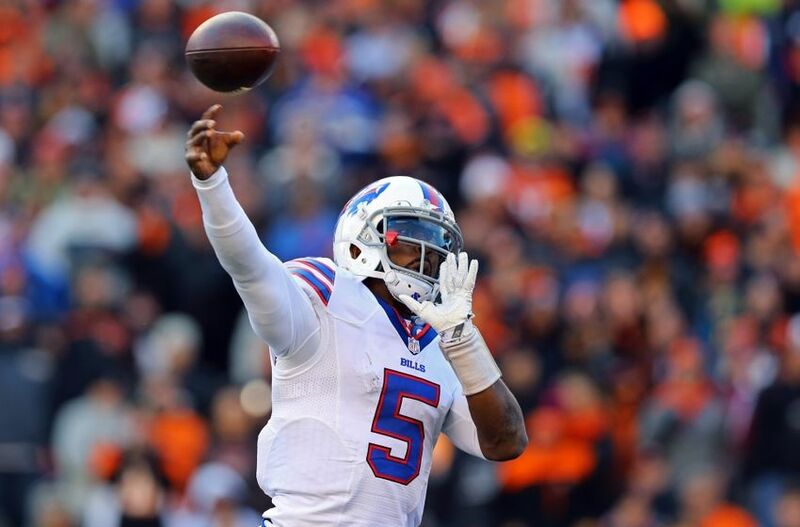 But there wasn’t too much to be impressed with in the Bills’ 16-12 victory over the scuffling Bengals. With the way Cincinnati is playing now, Buffalo should have won this game easily. Only two second-half field goals ensured the Bills would climb back to the .500 mark. 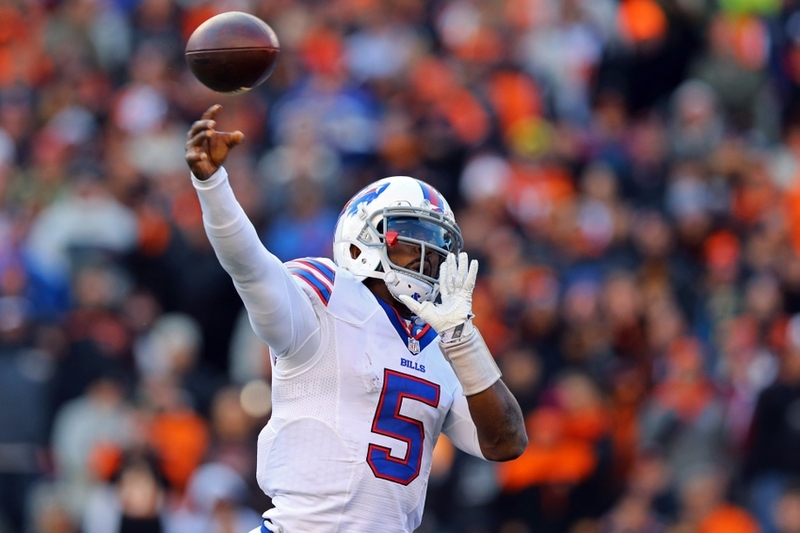 Quarterback Tyrod Taylor wasn’t particularly impressive, throwing for 166 yards and one interception. And going 3-of-12 on third downs isn’t a good look either. At least Ryan and Co. can feel pretty good about a Week 12 matchup with the lowly Jaguars at home. Thankfully for the Carolina Panthers, the NFC South still remains wide open. And the third-place Panthers are still in the mix, in spite of dropping four games in a row between Weeks 3 and 6. The Panthers survived a 23-20 home thriller over the New Orleans Saints on Thursday Night Football, which could have major implications on the rest of the division. 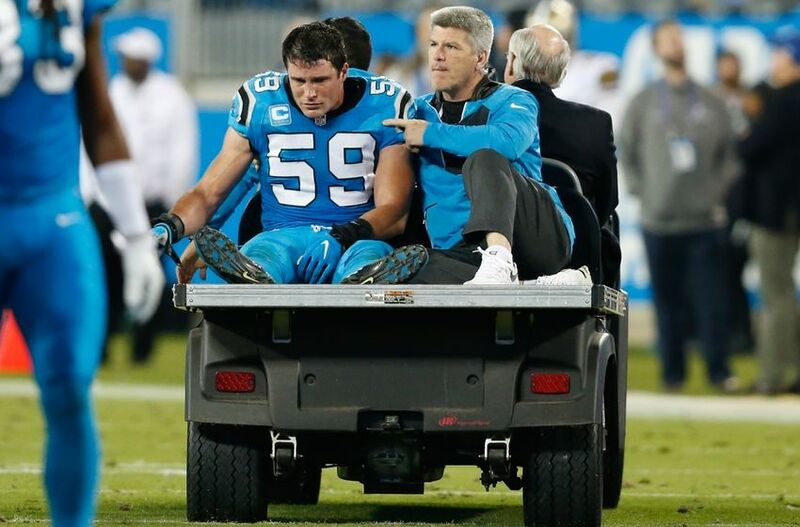 But losing linebacker Luke Kuechly to a concussion doesn’t help things at all. Quarterback Cam Newton wasn’t at his best Thursday, but the defense managed to do enough to hold off Saints quarterback Drew Brees and Co.
Can the Panthers replicate this effort on the road against a tough Oakland Raiders squad in Week 12? Hey, that road win over the Kansas City Chiefs was pretty impressive, wasn’t it? 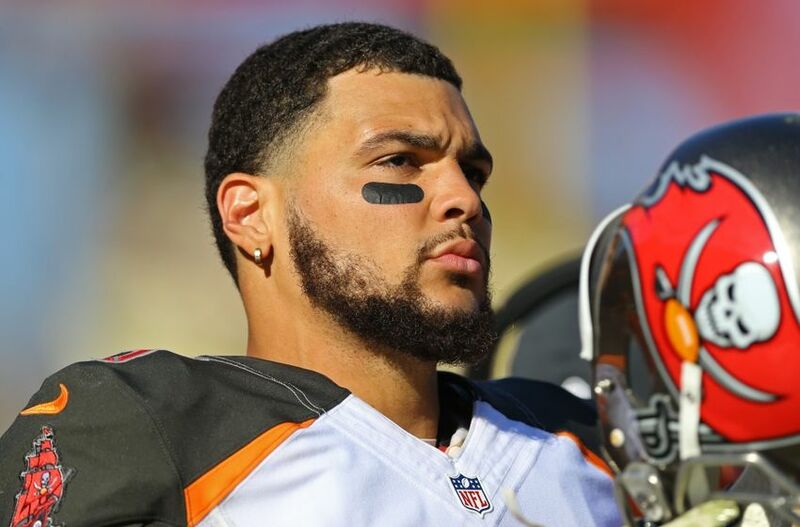 Yes, the Tampa Bay Buccaneers might be ascending just at the right time. Now at 5-5, after upsetting the Chiefs 19-17, the Bucs find themselves just one game behind the NFC South-leading Atlanta Falcons. The division is up for grabs right now, and Tampa Bay hopes the maturation process of quarterback Jameis Winston continues at this level. Winston was 24-of-39 for 331 yards and a touchdown, and the chemistry he’s developing with wide receiver Mike Evans has been something to watch. Keep an eye on this team down the stretch. Just when you think the Saints are starting to get things on track, New Orleans drops back-to-back games and find themselves at 4-6 on the season. 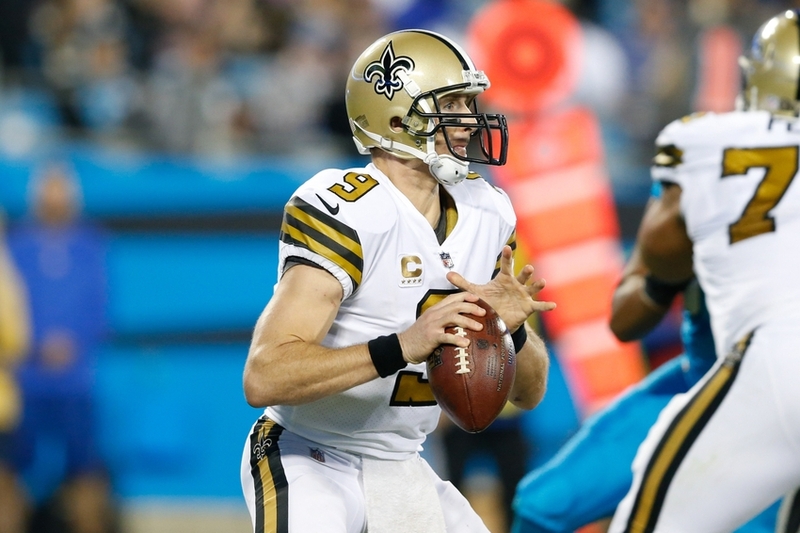 The Saints couldn’t quite knock off the Panthers on Thursday Night Football and will have to lick their wounds before a winnable contest against the Rams in Week 12. Fortunately, quarterback Drew Brees is still playing at a remarkable level, and the chemistry he’s developed with wide receiver Brandin Cooks has been something to watch. If only this team could muster up anything resembling a defense. Yes, a 5-5 team currently sits as the AFC North leader. 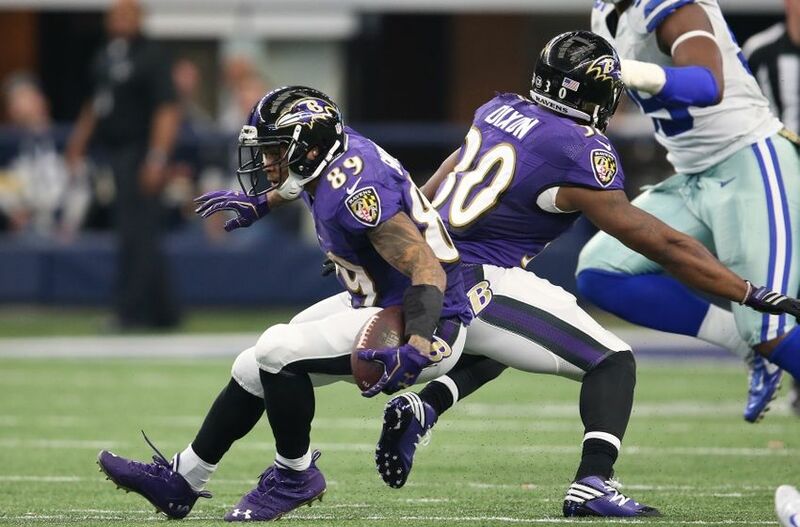 The Baltimore Ravens can’t feel too bad about losing 27-17 to a red-hot Dallas Cowboys squad, and head coach John Harbaugh’s team can feel pretty good about hosting the floundering Bengals at home this upcoming week. 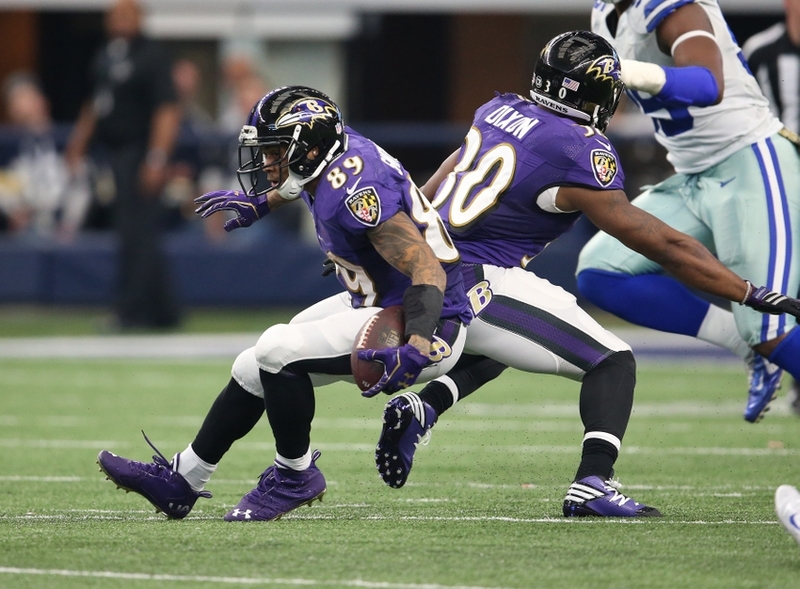 Veteran wide receiver Steve Smith continues to do amazing things at this stage in his career. And quarterback Joe Flacco was productive enough to keep Baltimore in contention over four quarters. But those 12 penalties for 136 yards sure hurt any chances of a Week 11 upset. 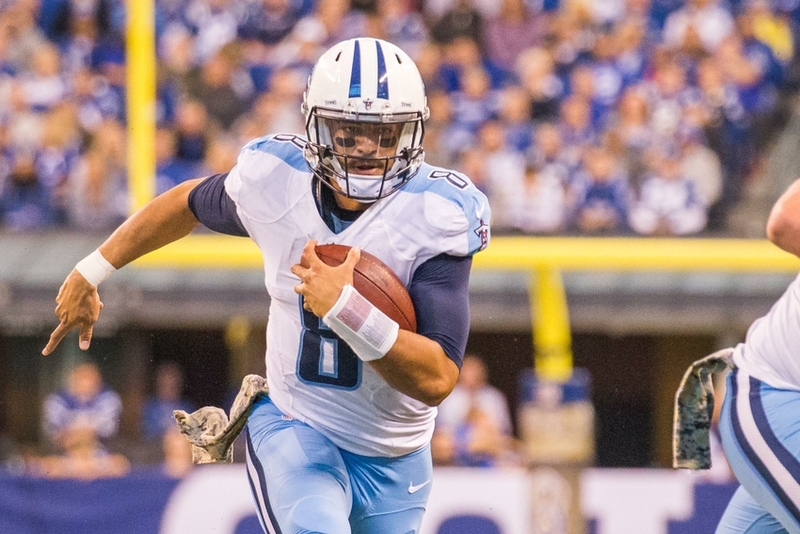 No, not even a red-hot quarterback Marcus Mariota could save the Tennessee Titans from a 24-17 loss to the Indianapolis Colts on Sunday. Things got off to a bad start for the Titans in the first quarter, when the Colts managed a Robert Turbin rushing touchdown and another touchdown from quarterback Andrew Luck to wide receiver Donte Moncrief. Those were blows from which Tennessee simply couldn’t recover. 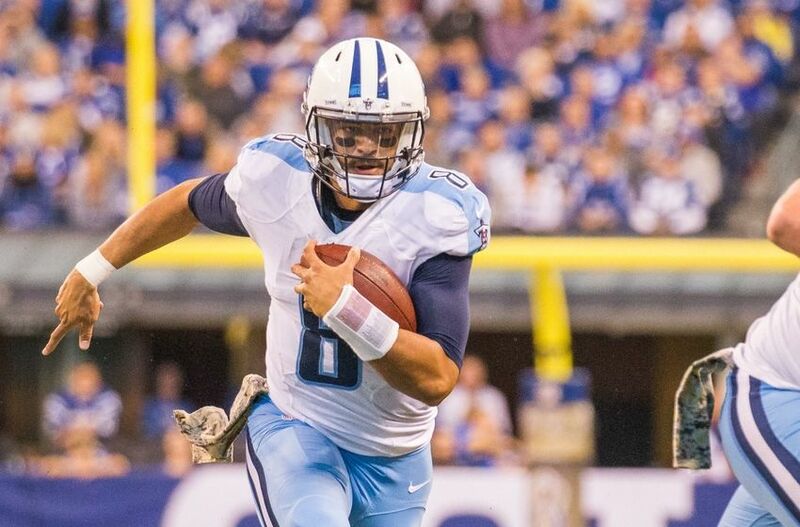 Being penalized 11 times for 109 yards also hurt the Titans’ chances, although this group has shown a great deal of improvement over what was seen a year ago at this time. A hot start was exactly what the Colts needed to get back to .500 heading into Week 12. 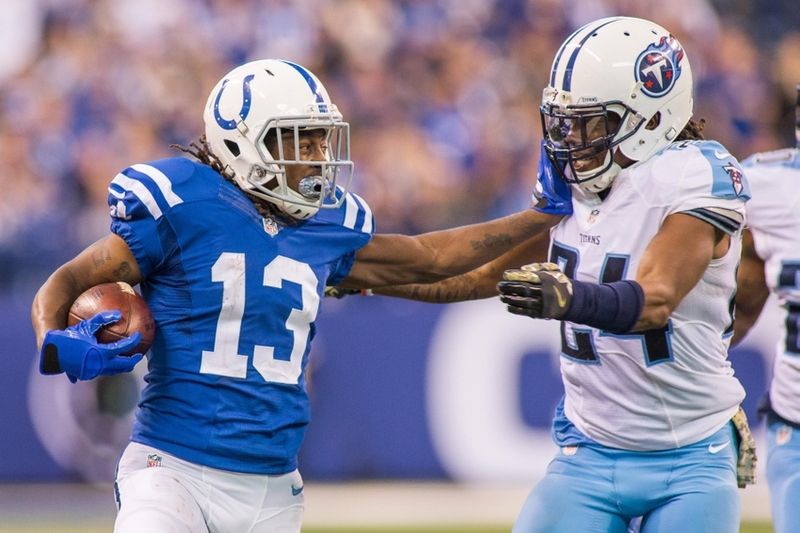 It’s hard to determine what we should make of Indianapolis this season. The Colts are about as inconsistent as it gets, which is why they’ll probably stick around the middle of the pack in NFL power rankings. Quarterback Andrew Luck was efficient enough to ensure the 24-17 victory over the Titans, and former 49ers running back Frank Gore continues to climb in the record books. He was held to just 50 yards and 2.8 yards per carry though. A Week 12 date with the Pittsburgh Steelers will go a long way in determining whether or not Indianapolis is a contender or pretender. And possibly not having Luck (concussion) for this upcoming game doesn’t help matters at all. 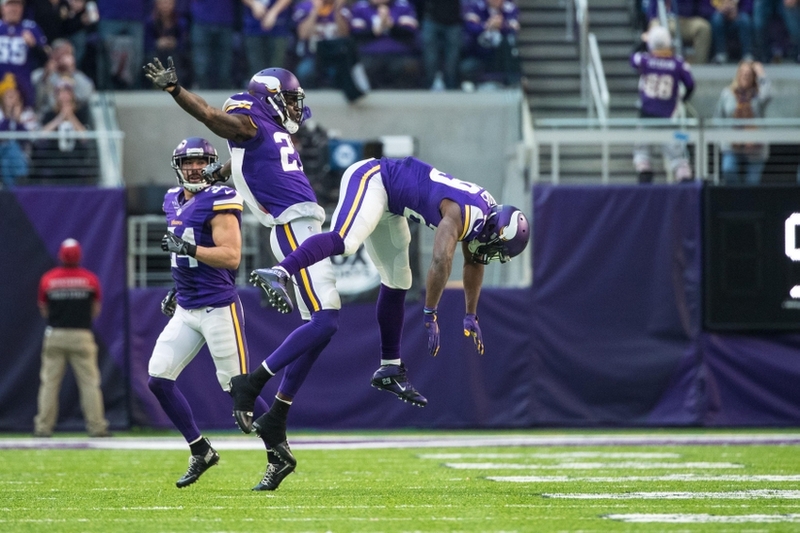 Remember when Vikings quarterback Sam Bradford and wide receiver Stefon Diggs were the hottest combination in the NFL? Well, that might not be the case heading into Week 12. 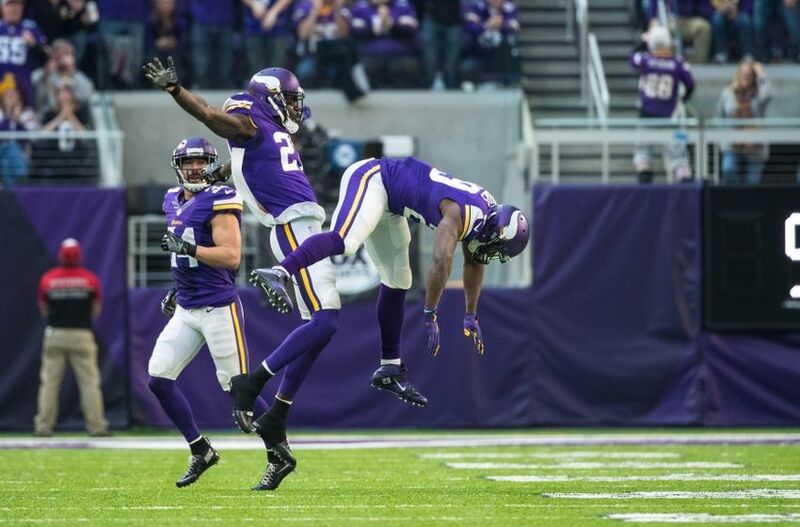 But Minnesota pulled off a much-needed win over the Cardinals on Sunday, winning 30-24 in the process. That score might indicate the Vikings offense was really good. But this unit mustered only 217 yards of total offense, which points to some of the issues Minnesota might face down the stretch. Sacking Arizona quarterback Carson Palmer four times sure made a difference. And the Vikings will square off with the Detroit Lions in Week 12 to determine the real leader in the NFC North. A 3-0 start to the season gave many fans the thought rookie quarterback Carson Wentz and the Philadelphia Eagles would be for real this year. 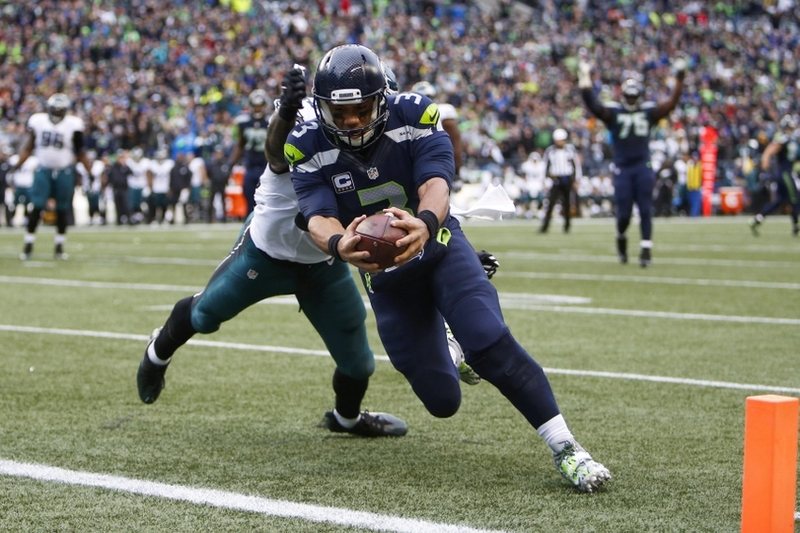 It’s still possible, but a tough 26-15 loss at the hands of the Seattle Seahawks in Week 12 showed the Eagles aren’t quite close to that elite-level category. Wentz went through another phase of growing pains on Sunday, going 23-of-45 for 218 yards and two touchdowns against two interceptions — a passer rating of 61.2. Philadelphia had no answers for Seahawks quarterback Russell Wilson either, who even managed a touchdown reception in the game. Yes, the Miami Dolphins pulled off a 14-10 victory over the lowly Rams and still managed to drop in NFL power rankings this week. Why? Well, this particular win wasn’t exactly impressive. And it isn’t as if the Dolphins change in standings, it’s merely other teams have surpassed them in our rankings. Quarterback Ryan Tannehill looked OK against a tough Los Angeles defense, and Miami can at least feel pretty good about its five-game winning streak. 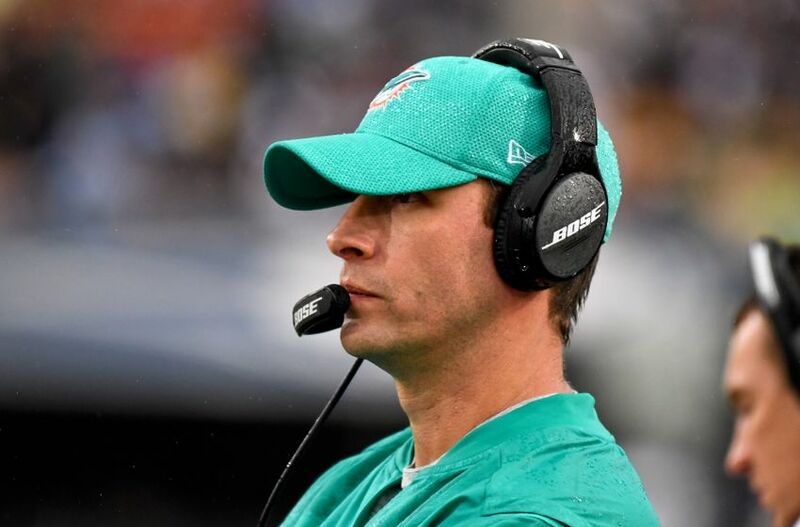 And while the Dolphins can’t afford to rely solely on their defense to win these low-scoring games, they can feel pretty good about hosting the hapless 49ers in Week 12. The Dolphins winning streak should easily continue. Steelers quarterback Ben Roethlisberger wasn’t much of a factor in Pittsburgh’s 24-9 easy win over the Browns in Week 11. In all fairness, he didn’t have to be. 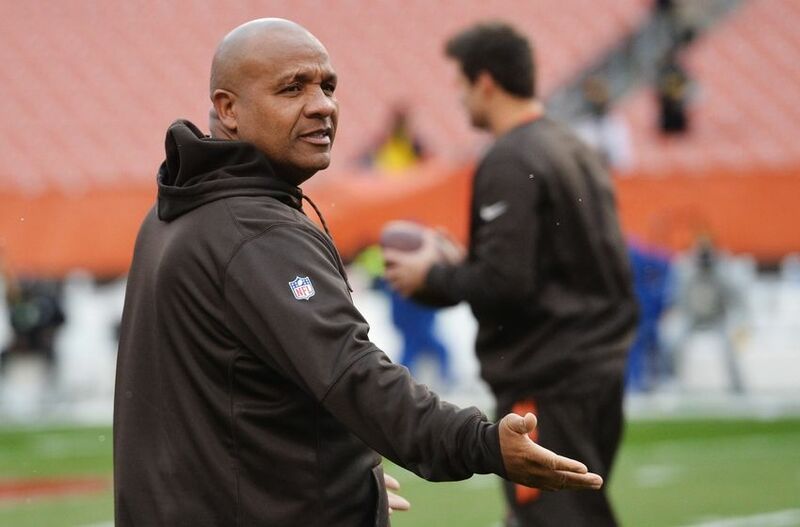 The Steelers defense did most of the work, sacking Cleveland’s quarterbacking tandem of Cody Kessler and Josh McCown eight times and forcing two turnovers. And how about Steelers defensive tackle Javon Hargrave’s fumble recovery in the end zone for a touchdown? Yes, we like big-guy touchdowns too. 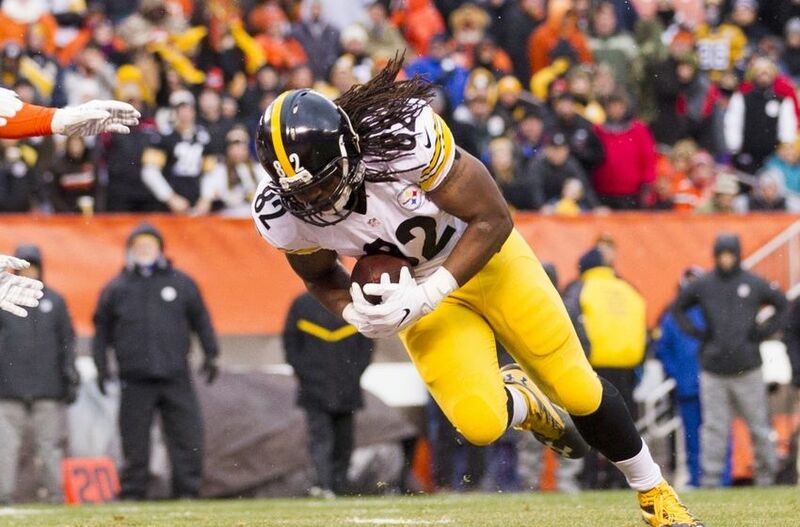 Pittsburgh now has a chance to break away in the AFC North with a key contest against the Colts in Week 12. Again, let’s consider the notion Lions quarterback Matthew Stafford is actually better without now-retired wide receiver Calvin Johnson. Stafford is spreading the ball around much more this season, which is exactly what the Detroit offense needs. 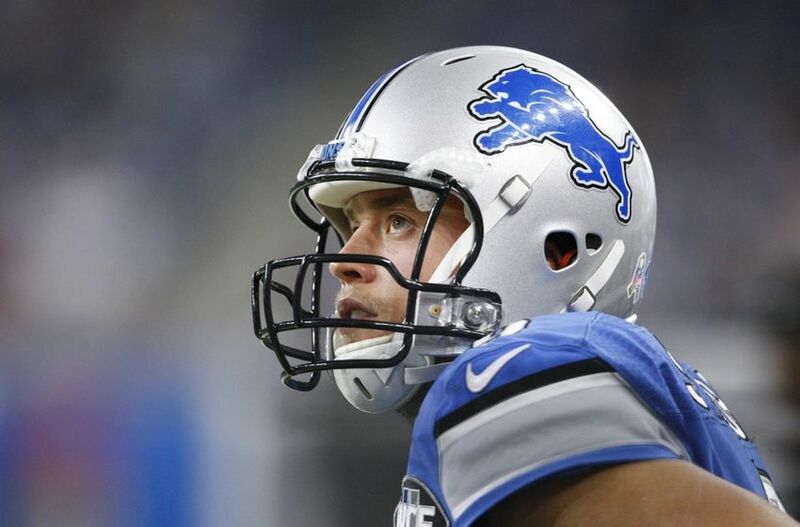 Five receivers had more than one catch in the Lions’ 26-19 victory over the Jaguars in Week 11, and both Eric Ebron and Theo Riddick managed 70 receiving yards apiece. 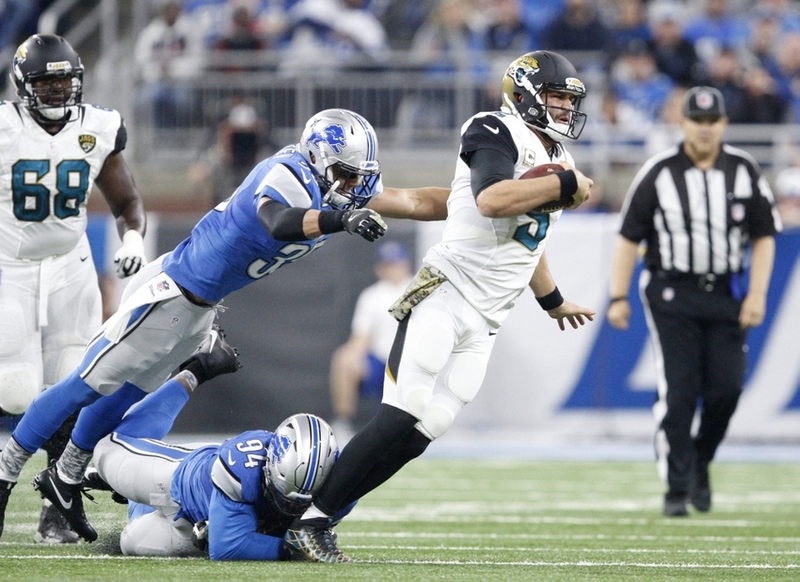 True, the Lions needed a 10-point fourth-quarter comeback at home to pull off the victory. But that’s what good teams do when facing adversity. The Lions’ Week 12 matchup versus the Vikings will tell us a lot about whether Detroit is for real. 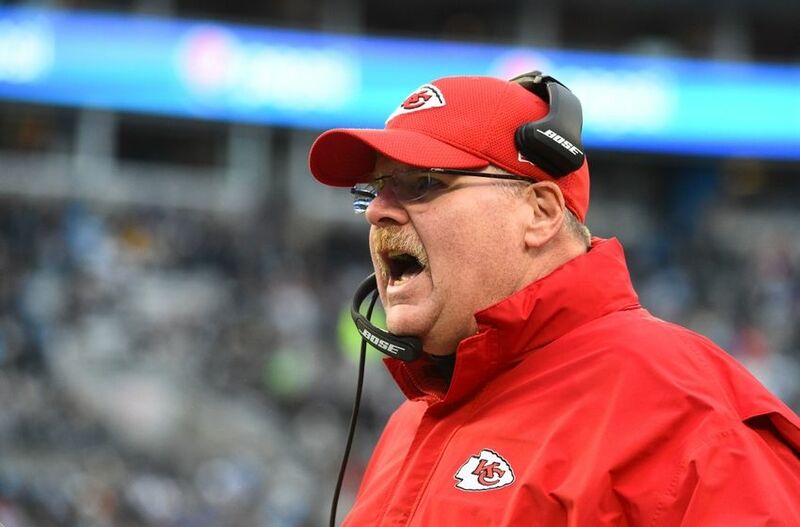 The Kansas City Chiefs couldn’t find the late fourth-quarter magic to help them get over the Buccaneers in Week 11. So the Chiefs lost 19-17 at home and now find themselves at 7-3 in the tough AFC West. That record would put them in first place in four other divisions. But right now, they’re in third. It’s clear quarterback Alex Smith isn’t capable of stretching the field with deep passes. Of course, 49ers fans could have told you that a long time ago. He was effective, if not stellar, on Sunday and threw for 261 yards with a touchdown against an interception. Tight end Travis Kelce remains the team’s biggest threat through the air. But the usually stout Chiefs defense wasn’t able to contain Bucs quarterback Jameis Winston and Co. enough. Things won’t get any easier with back-to-back road games against the Broncos and Falcons in Weeks 12 and 13, respectively. 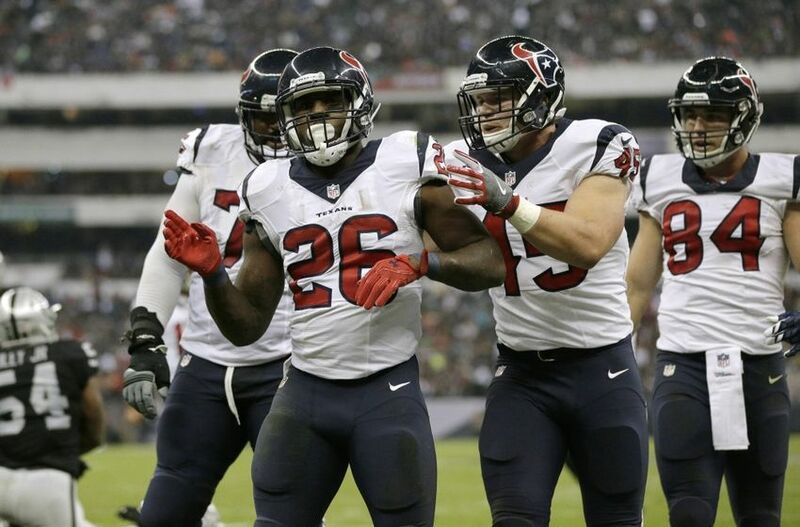 Playing at altitude in Mexico City on Monday Night Football against the Oakland Raiders certainly wasn’t going to be an easy task for the Houston Texans. But give credit to Houston for sticking around long enough and forcing the Raiders to a 14-point comeback in the fourth quarter. It might not be a big accomplishment in the U.S. But at altitude in Mexico, it’s a different story. Brock Osweiler isn’t a good quarterback, but he has an excellent receiving corps. Wide receiver DeAndre Hopkins is fun to watch, and it’s good the Texans are getting tight end C.J. Fiedorowicz involved early and often. 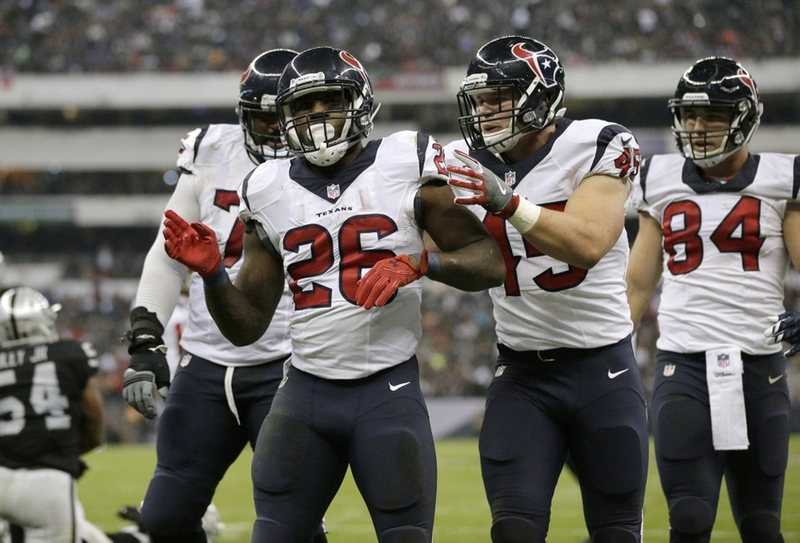 Oh, and running back Lamar Miller is pretty good too. Same goes for linebacker Jadeveon Clowney. Critics will still call this team the worst 6-4 team in the league. With Osweiler under center, sure. But there is enough firepower elsewhere to keep Houston in contention down the stretch. 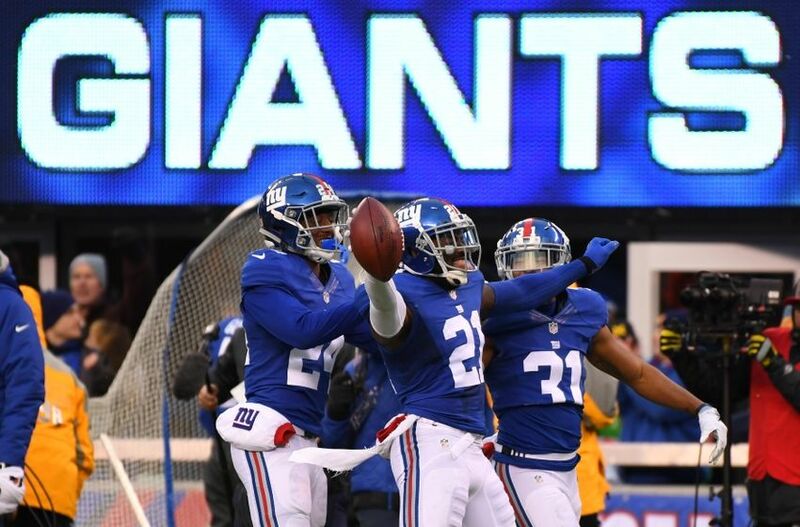 The New York Giants should feel pretty good about their efforts against a lowly Bears squad in Week 11, for it was the G-Men’s defensive efforts which ensured the 22-16 victory. Quarterback Eli Manning was very workmanlike, completing 21 of his 36 passes for 227 yards and two touchdowns. 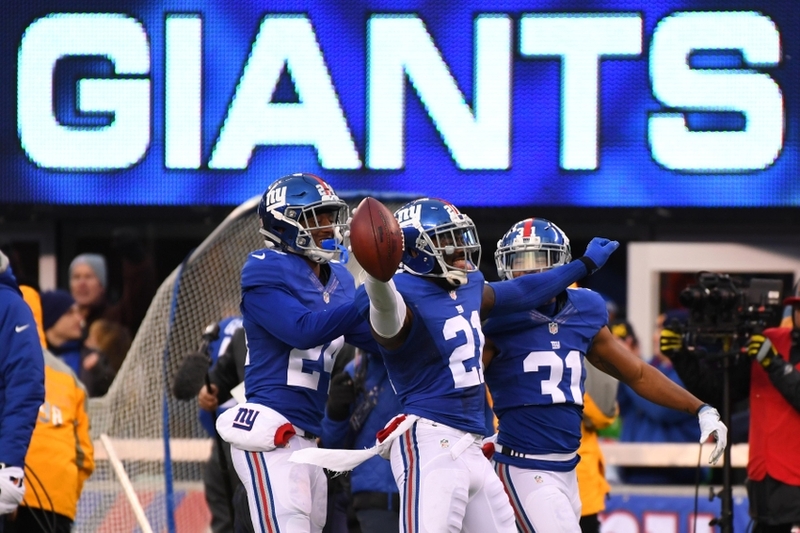 And while no Giants receiver surpassed 50 yards receiving, the offensive production was good enough to ensure New York’s five-game winning streak would continue into Week 12. 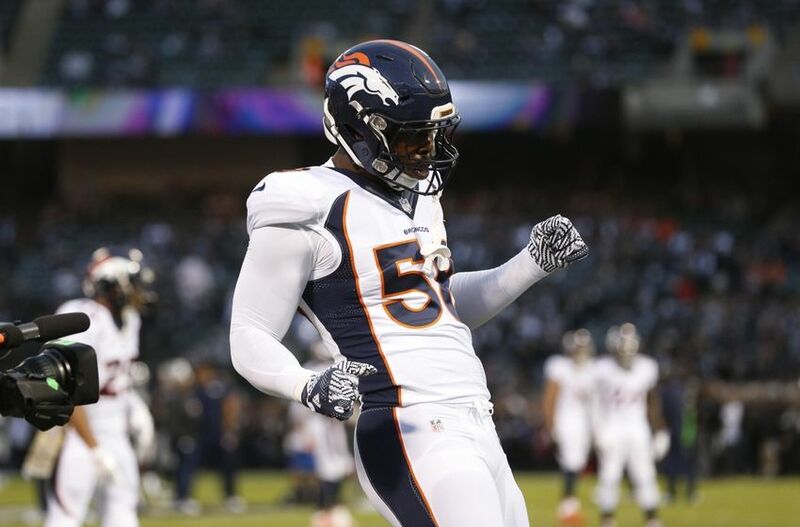 The Giants defense got to Bears quarterback Jay Cutler four times and only allowed 315 yards of total offense. New York is still in the hunt for the NFC East crown, and a winnable game against the Cleveland Browns in Week 12 awaits them. 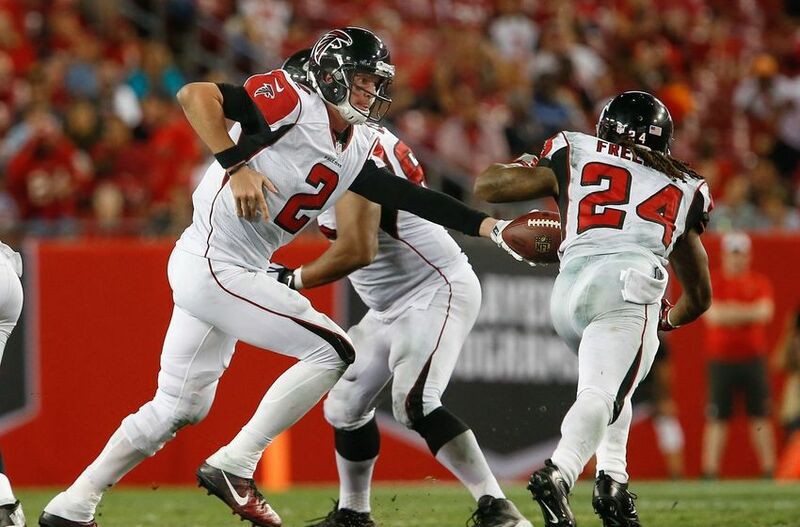 A Week 10 loss to the Philadelphia Eagles brought the Atlanta Falcons back down to earth a bit entering their bye week. They don’t change in NFL power rankings, but they have a chance to cement their lead in the NFC South with a win over the Cardinals in Week 12. The Denver Broncos also had a Week 11 bye, and their standing doesn’t change in this week’s NFL power rankings. Fans of the tough AFC West will look to a key matchup against the Kansas City Chiefs in Week 12 though. 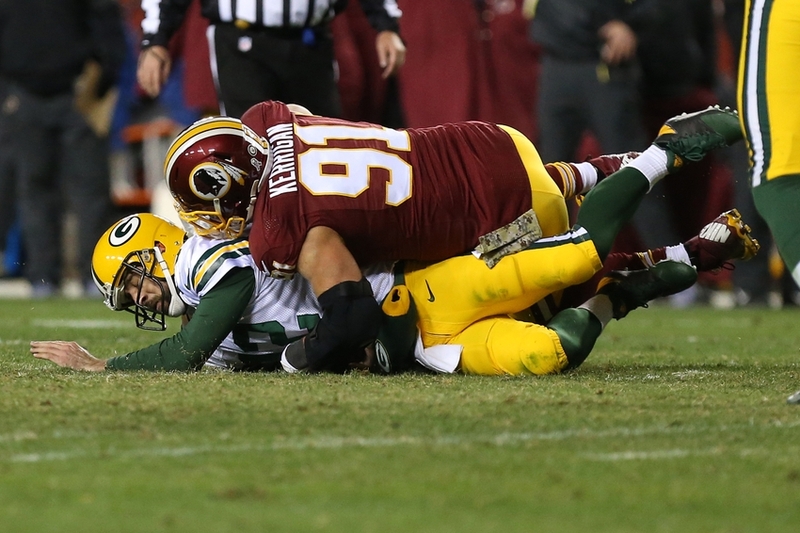 It’s time to recognize the fact the Washington Redskins are pretty good. They’re 6-1-1 over their last eight games with only a loss to the Detroit Lions and a tie to the Cincinnati Bengals to blemish their recent efforts. Dismantling the Packers 42-24 on Sunday is enough to shoot any team up in the standings, but Washington is starting to hit its stride at the right moment. Quarterback Kirk Cousins was more than impressive, going 21-of-30 for 375 yards, three touchdowns and a near-perfect 145.8 passer rating. Two redskins pass-catchers, Pierre Garcon and Jamison Crowder, had over 100 receiving yards and a touchdown each. 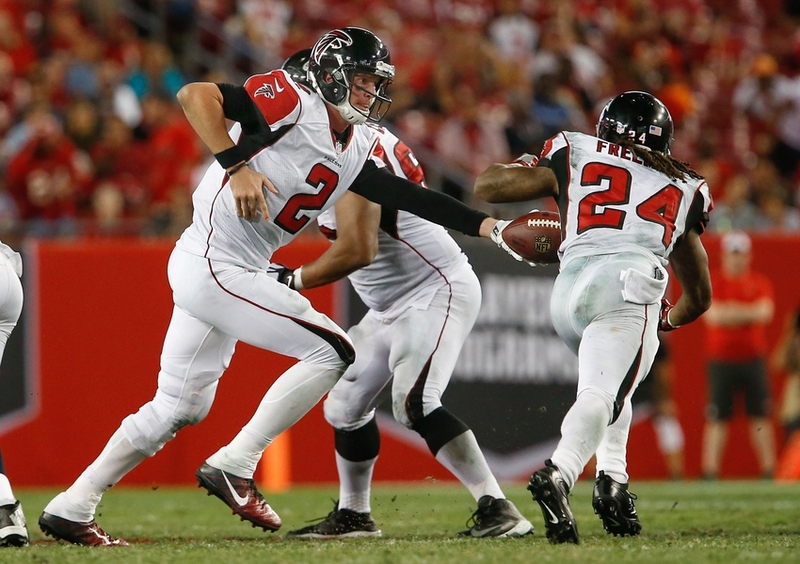 But running back Robert Kelley was even more impressive with 137 yards on the ground and three touchdowns of his own. This could be a high point for the Redskins this season though. They have three road contests ahead of them, starting off with what looks like a daunting task facing off against the Dallas Cowboys in Week 12. The Raiders fall in this week’s NFL power rankings but to no fault of their own. Another team simply surged ahead of them this week. 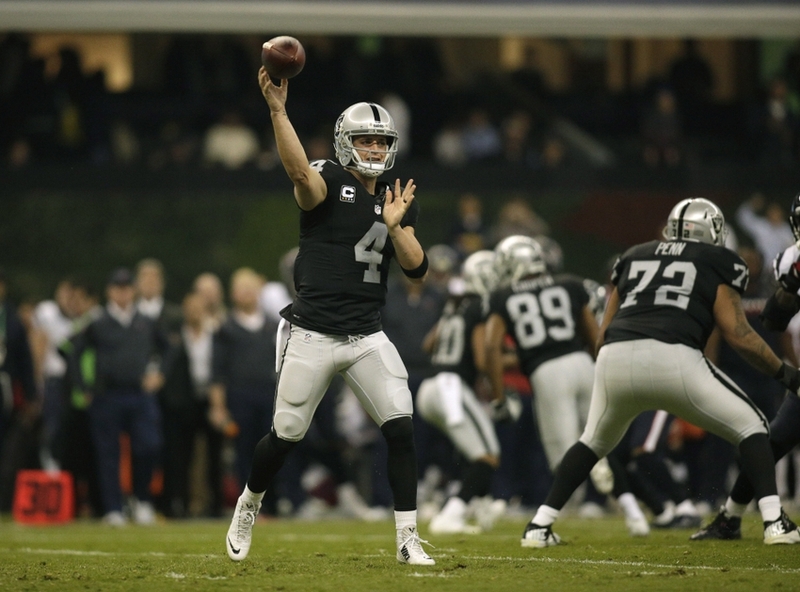 Oakland squared off against the Texans in Mexico City on Monday Night Football and came away with the 27-20 victory to improve to 8-2 on the season. 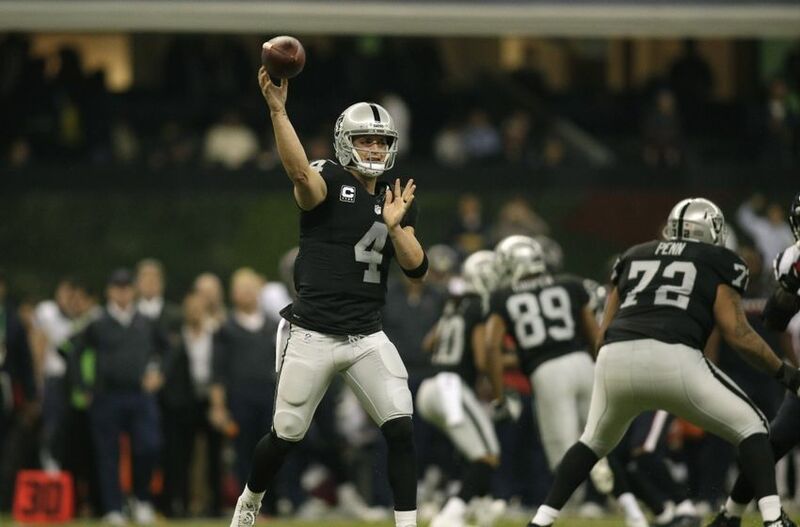 Quarterback Derek Carr continues his mastery of head coach Jack Del Rio’s offense and went 21-of-31 for 295 yards and three touchdowns against one interception. Carr didn’t get much help from the running game, but he didn’t exactly need it either. The Raiders are the real deal, folks. This is a team capable of surprising the best within the AFC this season. Heck, they are among the best in the AFC. Quarterback Tom Brady went into Levi’s Stadium and threw four touchdowns, amid pressure, against a 49ers team for which he once grew up rooting when he was a kid. And running back LeGarrette Blount crested over 100 yards on the ground in the Patriots’ 30-17 victory over the hapless Niners. 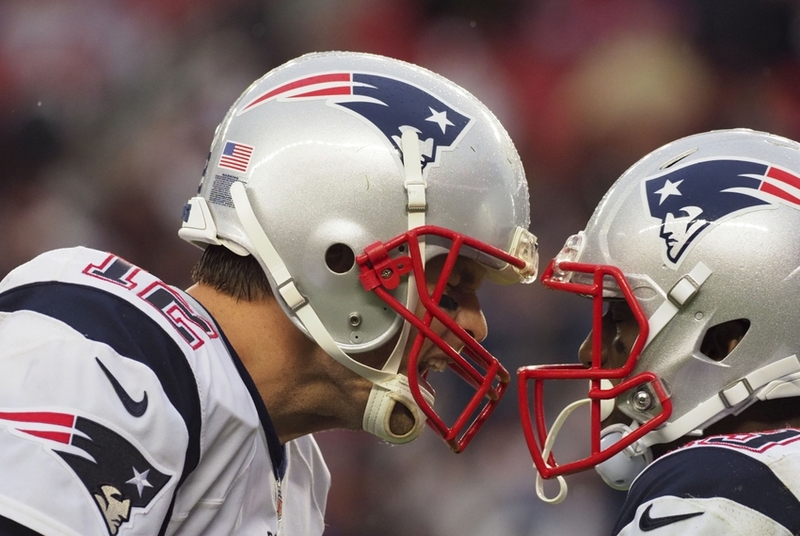 So how does New England fall in NFL power rankings? Well, it’s not so much that the Patriots did anything wrong. Everyone on earth expected them to win this game. But the victories shown by the Nos. 1 and 2 teams on this list were just a bit more impressive, considering the opponents. But if you’re looking for a reason to “slight” the Patriots, just take into consideration their 13-10 somewhat-precarious lead heading into the fourth quarter. New England should have been up 30-17 by halftime, even though the weather was lousy in Santa Clara. Seahawks quarterback Russell Wilson is going to be hit a lot, but he’s also going to do some spectacular things. 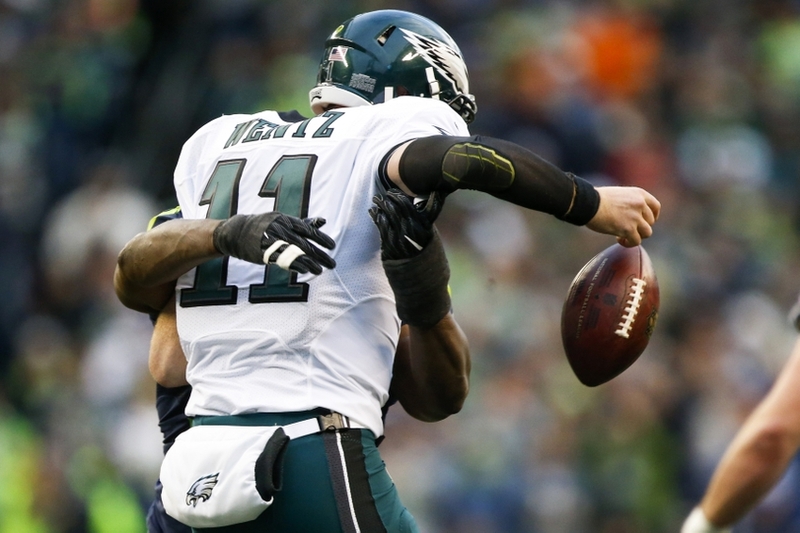 It’s safe to call him an elite QB now, and he made easy work of the Eagles en route to a 26-15 victory at CenturyLink Field on Sunday. Oh, and Wilson also hauled in — yes, hauled in — a 15-yard touchdown reception as well. Seattle is one of the few well-rounded teams the NFL is able to feature. The defense is just as potent as ever, and the offense — minus the offensive line — isn’t holding back any punches either. The Seahawks are likely going to run away with the NFC West with the rest of the division floundering (sorry, 49ers fans). And it wouldn’t be surprising to see an NFC Championship game featuring Seattle and the No. 1 team in our list in NFL power rankings this week. 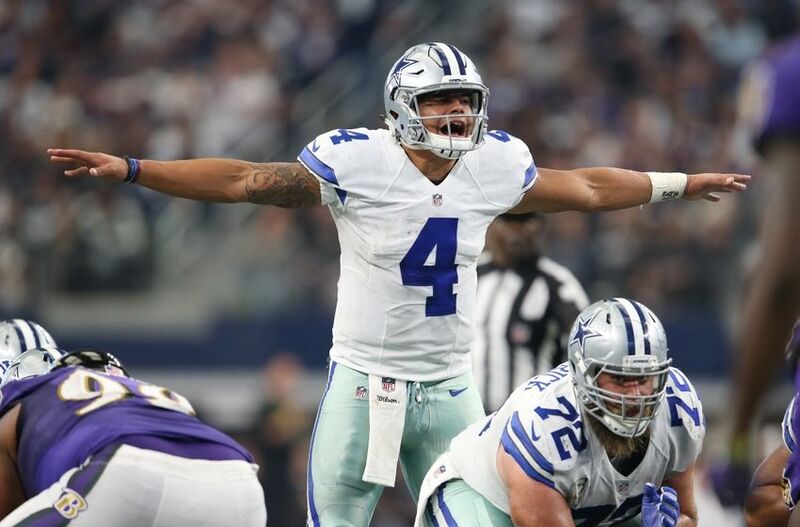 What more can be said about Dallas Cowboys rookies Dak Prescott and Ezekiel Elliott? Usually, it’s Elliott stealing the show with highlight-reel runs — and jumps — which makes him an easy candidate for the MVP of the league and not just Offensive Rookie of the Year. 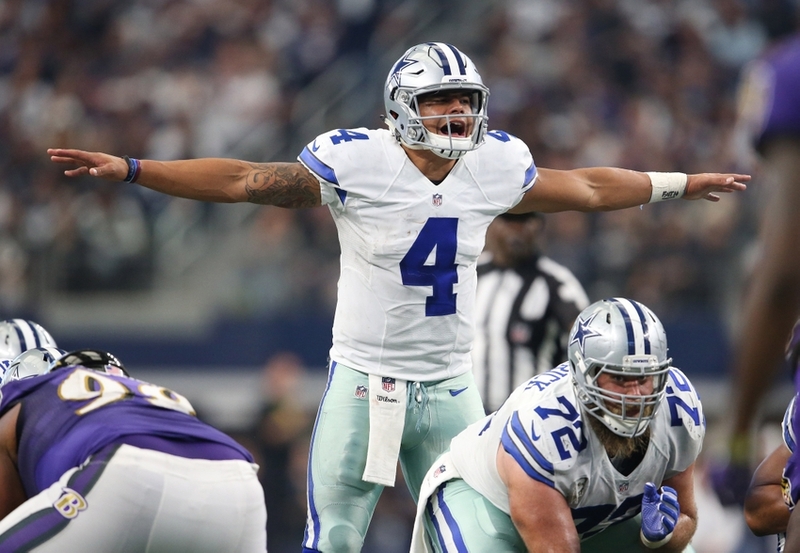 But in the Cowboys’ Week 11 27-17 win over the Ravens, Prescott was the one who drew the majority of attention. He finished with a more-than impressive 27-of-36 line for 301 yards and three touchdowns. The rookie now has 17 passing touchdowns against only two picks. Call him a system quarterback or just a guy surrounded by a great offense, there’s no doubting Prescott is doing everything he possibly can with a surging Dallas team showing no signs of slowing down. The Cowboys’ remaining schedule isn’t necessarily easy. They host the 6-3 Redskins in a divisional bout in Week 12. And that game is followed up by back-to-back road games against the Vikings and Giants in Weeks 13 and 14, respectively. Tampa Bay, Detroit and Philadelphia also pose decent threats to Dallas’ momentum. Still, the Cowboys are rolling through everyone right now and there aren’t any signs they’ll slow down anytime soon. This should be a fun team to watch in the playoffs.